We’ll make every effort to retain your natural teeth in any situation. We want you to show off a healthy smile with the full function of your teeth for as long as possible. In some cases, however, it may be necessary to extract a tooth. If so, we can complete a simple extraction in the comfort of our facility at Sea Brite Dental. We have an extensive network of specialists in the La Grande area who are experts in their field. 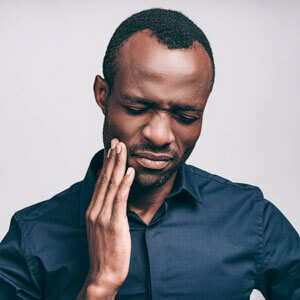 If you require a wisdom tooth extraction or have a regular extraction that is more complex than usual, we’ll be happy to refer you to one of them. Wisdom teeth, which are the last to grow in, located in the back of your mouth, can cause numerous problems if they can’t erupt properly and are left untreated. About an hour before your procedure, you’ll take this pill that can make you feel a little drowsy but remain fully conscious while we complete your treatment. I have a complicated medical history. Can you still complete my extraction? There may be some conditions that preclude completing your extraction at our clinic. We can evaluate your oral health and then make that determination. If needed, we can refer you to someone in our network of specialists. What if I have an emergency after my extraction? If you think you have a dental emergency and aren’t sure what to do, we have an emergency number that you can call. Leave a message and someone will get back to you promptly. Will I need pain medication prescribed to me afterward? You can control any discomfort you’re in after an extraction with over-the-counter medications. We’ll let you know what we recommend that you take and what to do after oral surgery La Grande so that you heal and recover as quickly as possible. If you’re due for a dental checkup or have a specific concern about your oral health, don’t wait. Get the attention you need. Contact our team today to schedule an appointment!